You may have been browsing a garage sale or thrift shop when you suddenly spied in the furthest corner an object of interest, something that had seen better times and needed some restoration to bring it to life again. You may have purchased it. With some loving care, that newly refurbished treasure may have become a source of pride in your home. That is much like what the City of Plano is doing with the Saigling House at 902 E. 16th St. For decades, the once stately home stood in obscurity, nestled behind rows and rows of overgrown foliage. Not one to let a treasure slip away, the City of Plano took steps a few years ago to purchase the home and renew it, bringing back its vibrance for Plano residents to enjoy. The restoration of the home will be complete by late January 2017, and according to Suzy Jones, executive director of the ArtCentre of Plano, the ArtCentre is excited to make the Saigling House its permanent home. 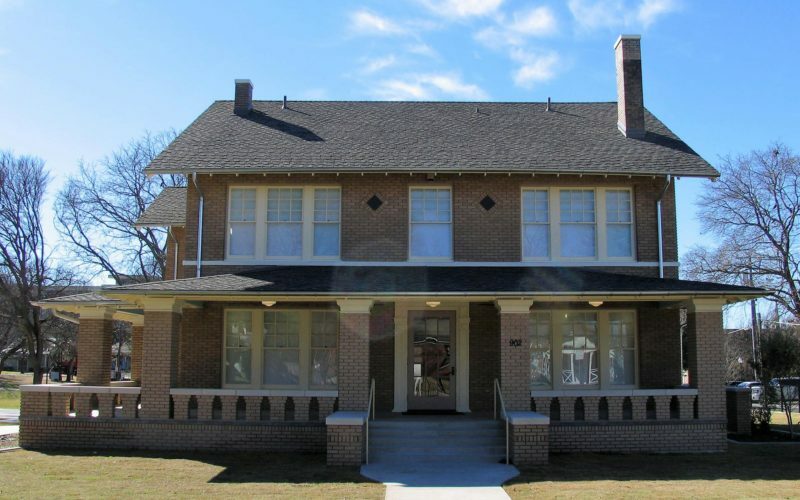 As downtown Plano is experiencing a rebirth as an arts district with art galleries, shopping and entertainment, the Saigling House stands to be the crown jewel of downtown upon completion. ...the very successful and on budget completion of this first THCPP project was a harbinger of many more successful and memorable courthouse project relationships. ...our project was a month ahead of schedule plus was right on budget. Your professional management and technical skills were well suited for such a complex restoration and the demanding client committee structure. Mr. Sellers' knowledge and experience in restoration work, attention to detail, project budget and value for the client, brought me to the decision to hire him as a professional consultant. Their professionalism and ability to provide value to the owner through their knowledge and experience can not be overstated. All of our projects have been safely completed, on time, and within budget. It quickly became obvious that you wanted to do the project right in every respect, and many improvements were made along the way as a result of your diligence and attention to detail. They have a selection of skilled and well-prepared individuals-from laborers to project managers-that are mindful and respectful of historic structures.